The skull consists of eight cranial bones and fourteen facial bones. The cranial bones include the frontal bone, two parietal bones, two temporal bones, the sphenoid, the ethmoid, and the occiput. The facial bones include the vomer, the mandible, and two each of the maxilla, the palentine bones, the zygomatic bones, the inferior nasal conchae, lacrimal bones, and the nasal bones. Recently, my friend Patty Townsend posted this video on the Embodyoga Facebook page. I loved her question, “What is the consciousness of these bones?” To help you in your inquiry into that question, here is a link to a description of each of the bones with images. Take time with each of the bones. Palpate the ones you have access to and begin to imagine the ones you don’t. Notice their size, their shape, their location, and their proximity to other structures. Bring your mind’s eye to this bone in your own body. As you softly hold your attention their, take in the consciousness and resonance of each. Also note the sutures between the bones. What is the consciousness of the sutures? How tightly or loosely are each held? 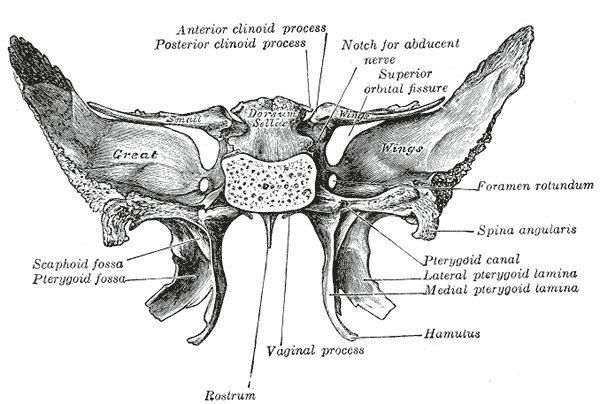 Spend a little extra time with the sphenoid. Notice the consciousness of the different parts. It has two sets of wings, forms the back of the eyes, collaborates with the occiput to form the base of the skull, and holds the seat (sella turcica) for the pituitary. What is its’ relationship to the glandular system and the chakras? Caution: There are many amazing structures in the skull. One could easily and quite happily get lost. They are very supportive to a meditation practice. It is important, however, to balance your explorations of the skull. Keep your explorations relatively short. Tether the head structures to the earth. The tail is a fabulous source. 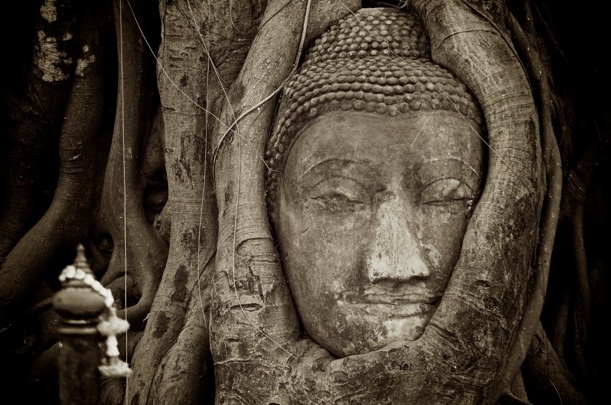 Balance the head glands with a consciousness of the body’s fluid system. Stay in relationship – gravity, earth, friends, family, others. Say tuned! As I traverse my way through osteopathic school, I am confident I will have more insights on each of these structures to share. Until then, enjoy your own explorations and please fell free to share.